The United States has subsidized wind-sourced electricity since 1992 to promotes the use of green energy and crack America’s dependence on the fossil fuels blamed for climate change. Last year, billions of dollars in wind production tax credits, or PTCs, amounted to some 2.3 cents per kilowatt hour for an industry that has struggled to compete against oil and gas. But winds of change are blowing. The repeatedly renewed credits expired at the end of 2013, along with many other renewable energy benefits. Wind energy is now an industry that can “stand on its own,” argued Senator Lamar Alexander and other anti-tax-credit lawmakers last month. Wind power has experienced a recent boom, growing from 1.3 percent of the nation’s electricity production in 2008 to 3.5 percent in 2012. This leaves it still far behind coal at 37 percent, natural gas at 30 percent and nuclear power at 19 percent. Fueled by steady growth in wind farms and the falling cost of equipment like turbines, wind energy is now on average the second-cheapest US energy source. According to the Department of Energy, the average cost of natural gas from a new plant in 2018 will be 6.7 cents per kWh, compared with 8.7 cents for wind, 10 for coal and 11 cents for nuclear power. Energy from offshore wind farms remains expensive, at 22 cents per kWh. But the end of the tax credit hardly marks the death knell for a budding industry. Wind operations whose construction began before December 31, 2013 may continue to enjoy the federal benefit for 10 years; only new projects will be subsidy-free. And regardless of congressional action in Washington, 29 states have set their own renewable energy targets, which essentially mandate operators to invest in wind. The most populous state, California, is expected to produce one third of its electricity from renewable sources by 2020, while the northeastern state of Maine has committed to 40-percent renewable energy by 2017. A major tax reform bid underway in Congress could see the light this year and benefit wind energy producers. Heading the effort is Senator Max Baucus, whose unique proposal aims to end existing tax incentives and replace them with provisions to reduce greenhouse gas emissions. But President Barack Obama has just named Baucus to be the US ambassador in China, leaving the initiative in potential limbo. Lawmakers from windy states in the northeast and central plains regions argue for maintaining the federal aid, saying their states have enjoyed booms in investment and jobs. 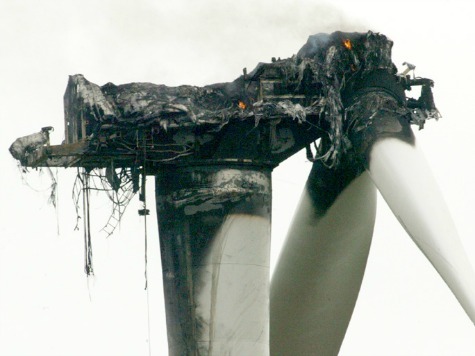 The lack of a sustainable energy policy is putting strains on the wind sector, which after a productive 2012 saw new projects slump in 2013. The wind sector wants its shrinking production costs to be matched by a rational and stable US renewable energy policy. Technological advances have helped drive down wind production costs by over 40 percent in the last four years, noted AWEA’s Lindsay North.